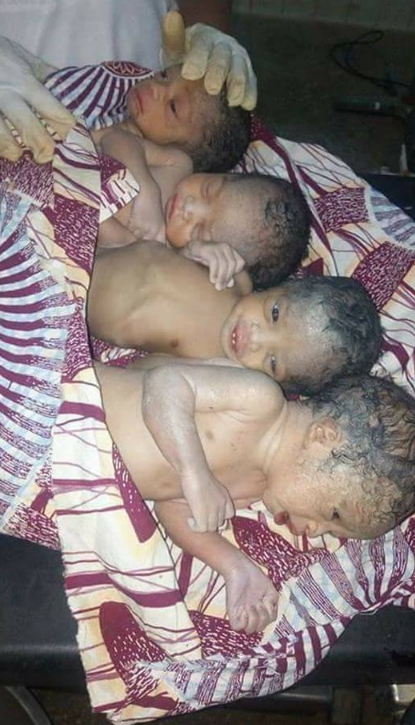 Check out these adorable children of destiny recently delivered at a village hospital in Mulamfashi LGA of Katsina state. Competent doctors at the hospital with no birthing room delivered the quadruplets (3 males & a female) successfully with no complication. One of the doctors present during the delivery shared these photos on Facebook. what a 1dafull God.glory be to God 4 d safe delivery congrats woman, doctor well don. baby wlcm to d world. Wow!!! !To God be d Glory great things He has done!Congrats mummy and daddy may these Children bring blessing and happiness to ur home. U shall not lack what u will use to train these angels. Good news! God will provide for your parents to take good care you kids. This is Nigeria in the 21st century, with the highest number of individuals owning private jets than anywhere else in Africa? 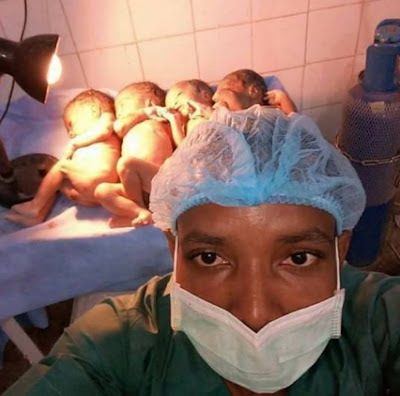 Congratulations to the proud mother and kudos to the doctors whom God gave the expertise to successfully deliver those children of destiny, despite the degrading conditions and obstacles. God is good always. Mother Quads, don’t forget to tie your tubes before leaving the hospital. God will sustain your family to raise those precious gifts, amin. With God there is no special labour room, only a ” favour room” is required, and that can be anywhere. Praise His Holy Name! Congratulations to the family and well done Doctors! 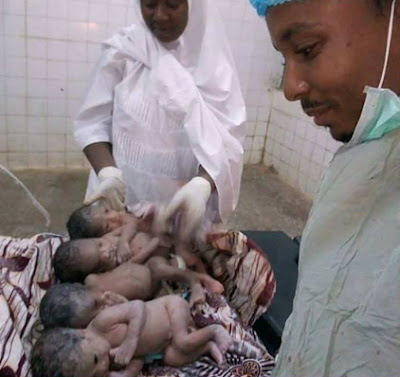 There is no way the mother would have imagined she was carrying four. beautiful babies with so much uncertainty. May God help the parents.